The funeral order of service program does more than just let those who attend the funeral know what to expect out of the order of service for funeral traditions of a particular church or secular ceremony. Funeral programs are also final tributes to the people whose lives are being celebrated, and they are often retained as special keepsakes. That’s why many people today prefer to design their own custom funeral programs, and with the ‘Celebration of Life’ Traditional Single Fold Program, you can do so in the easiest possible way. 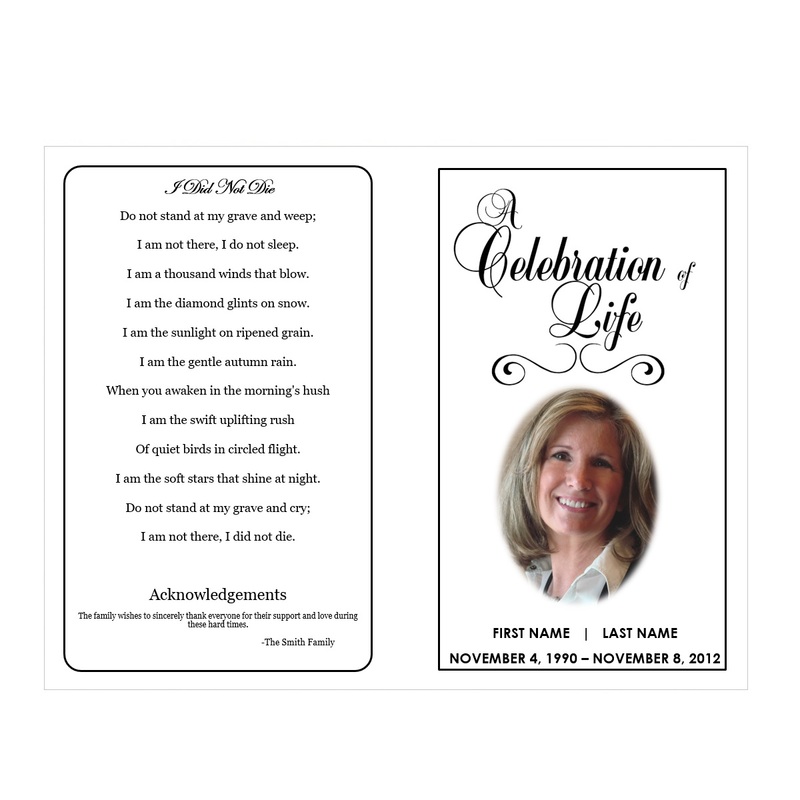 This black and white, simple theme memorial program is both elegant and cost-effective. 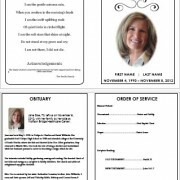 All of our templates are easy to edit and already formatted for you to just insert picture(s), information and print! 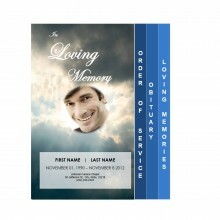 Tasteful yet simple, this memorial service program template can be customized with Microsoft Word in a matter of moments. We provide you with immediate access to the memorial program template download as soon as you pay for your purchase via PayPal. 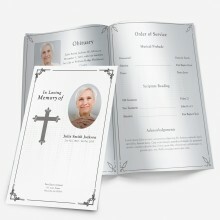 As a single fold funeral program template, this particular design makes printing and assembling your funeral programs easy. 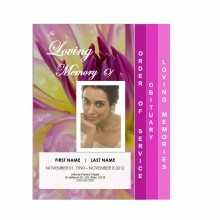 All that you need to do is print the programs on standard 8.5-inch by 11-inch paper and then fold once to have a beautiful funeral order of service program to present to attendees. 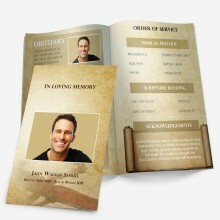 The program’s cover pages contain a picture of the loved one, a poem, family acknowledgment, and the funeral or memorial service date and location. 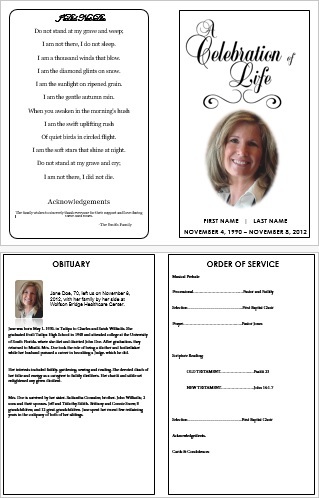 The interior pages contain an obituary template and an order of service template. You may change the font, size, or color to whatever you wish. However, if time is of the essence, we do offer a service to edit the funeral pamphlet for you, and have it delivered to you within just 2 hours! All you have to do is select the ‘Add Customization Service’ option above, attach photos and documents containing the information you would like us to insert. You may also write any specific instructions you may have, such as a request to rearrange the template format or insert a picture in a certain place. You will have your template in your e-mail, completely ready to print, within 2 hours.